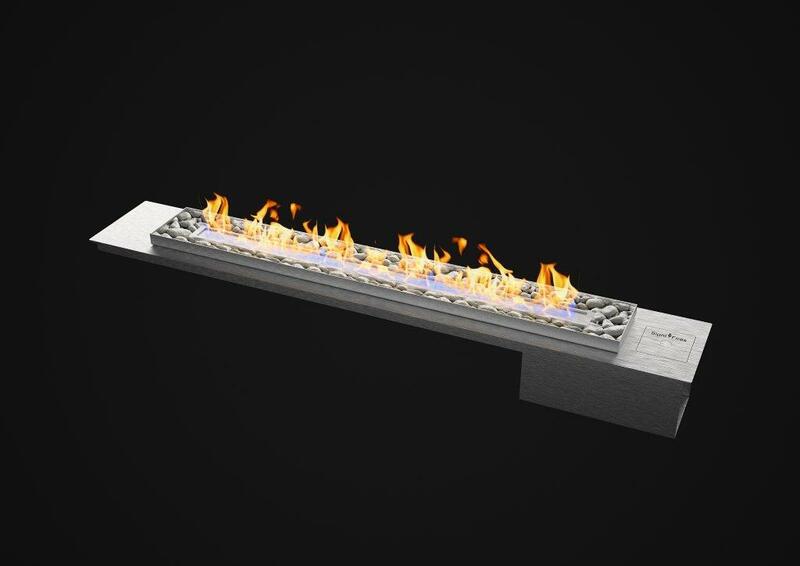 The Vent free gas fireplace with pebbles is a great product to heat your home efficiently. 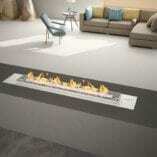 Its similar to the vent free gas fireplace but has a bed of pebbles to decorate and to add additional heat. 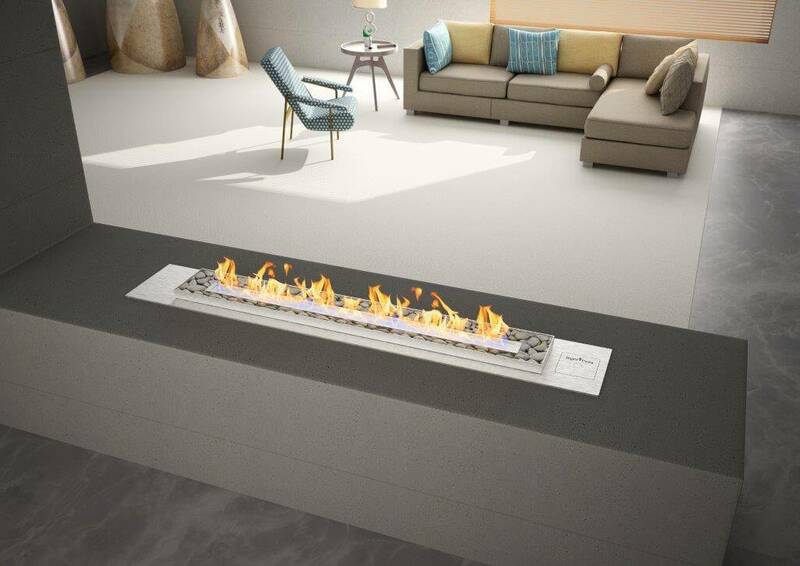 This vent free gas fireplace can be built into almost any surround and does not require a chimney. Perfect for the modern day open plan living area. 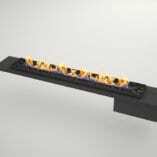 The vent free gas grate with pebbles is available in standard lengths of 800, 1000, 1200,1400, 1750, and 2000mm. 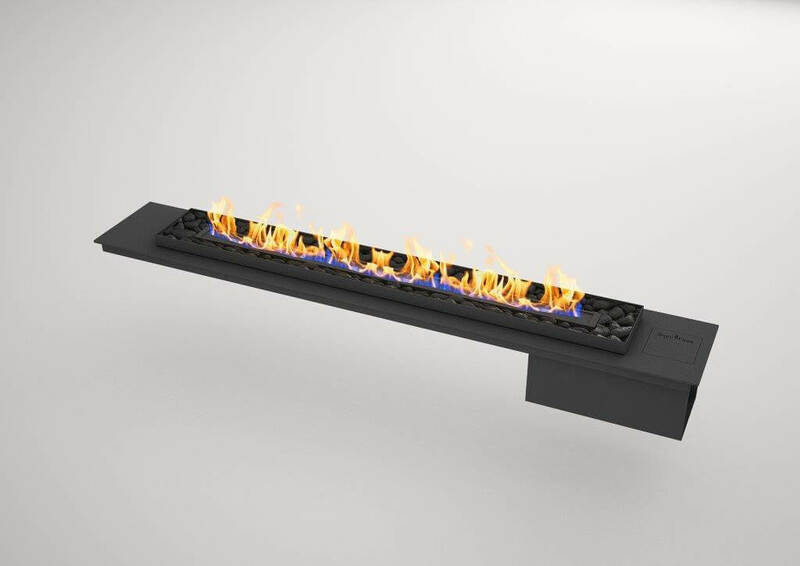 We also offer a built in firebox as an option with the gas fireplace available in black or full stainless steel. 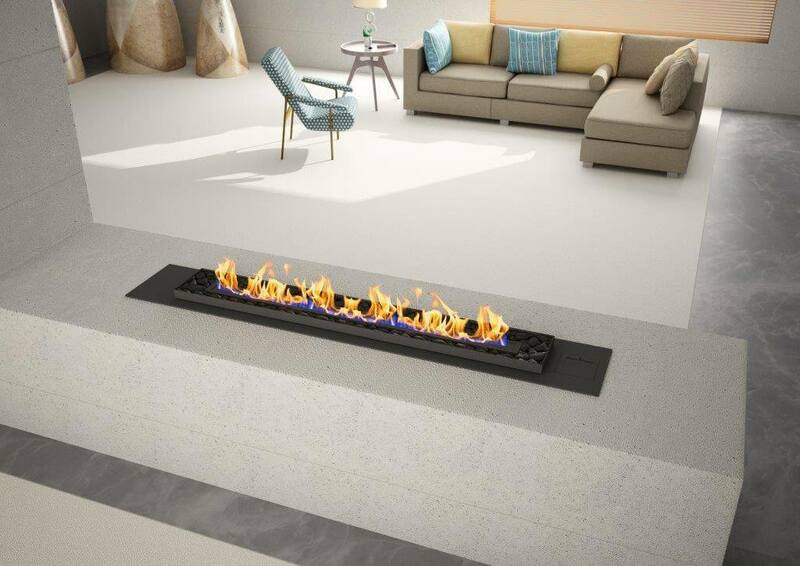 These gas fireplaces must be installed by a registered SAQCC installer and according to manufacturers specifications and SANS regulations. A vent free gas fireplace may not to be installed into bedrooms or bathrooms unless it has a chimney or permanent (non motorized) extraction system. 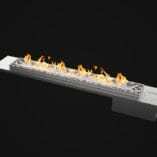 A vent free gas fireplace require fresh oxygen from underneath the burner to mix with the gas before ignition. Please ensure that you have made provision for this in your design. Please view the technical specifications PDF or Contact Beauty Fires should you have any questions.